“Do not abandon yourselves to despair. We are the Easter people and hallelujah is our song." 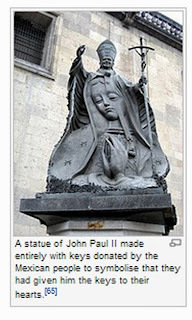 ~~ Pope John Paul II sometimes called Blessed John Paul or John Paul the Great, born Karol Józef Wojtyła (Polish: [ˈkarɔl ˈjuzɛf vɔjˈtɨwa]; 18 May 1920 – 2 April 2005), was Pope from 16 October 1978 to his death in 2005. He was the second longest-serving pope in history and, as a Pole, the first non-Italian since Pope Adrian VI, who died in 1523. Easter (Old English Ēostre; Latin: Pascha; Greek Πάσχα Paskha, the latter two derived from Hebrew: פֶּסַח‎ Pesaḥ) is a Christian festival and holiday celebrating the resurrection of Jesus Christ on the third day after his crucifixion at Calvary as described in the New Testament. 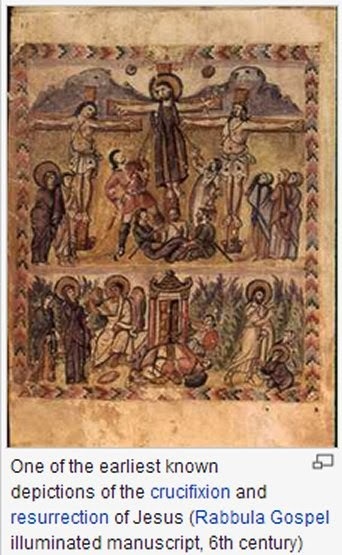 Easter is the culmination of the Passion of Christ, preceded by Lent, a forty-day period of fasting, prayer, and penance. 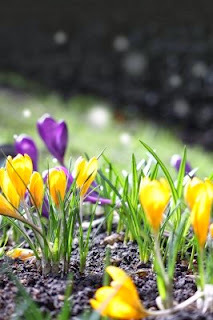 Easter is for everyone, for adults it brings back memories of childhood days filled with beautiful spring flowers and fabulous Sunday celebrations. Easter, like Christmas, is for children. Celebrating Easter with children is truly special – from colored Easter Eggs, Chocolate Easter Bunnies to Easter Egg hunts and parades and bonnets make this day extra magical. 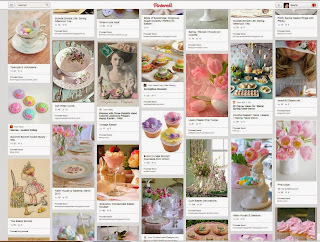 Easter is a moveable feast, meaning it is not fixed in relation to the civil calendar. 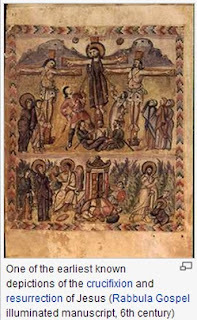 The First Council of Nicaea (325) established the date of Easter as the first Sunday after the full moon (the Paschal Full Moon) following the March equinox. 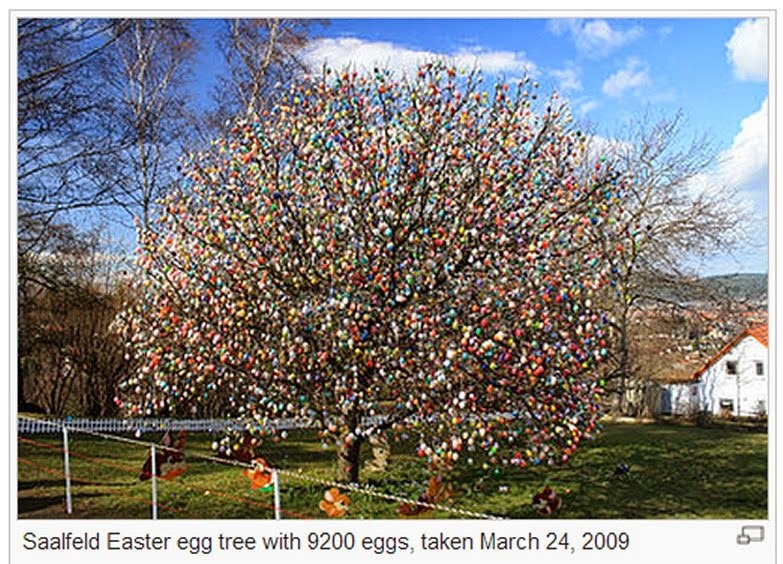 The precise date of Easter has at times been a matter for contention. By the later 2nd century, it was accepted that the celebration of the holiday was a practice of the disciples and an undisputed tradition. 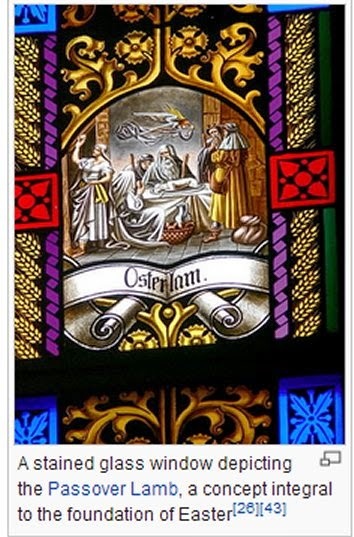 Easter is linked to the Jewish Passover by much of its symbolism, as well as by its position in the calendar. 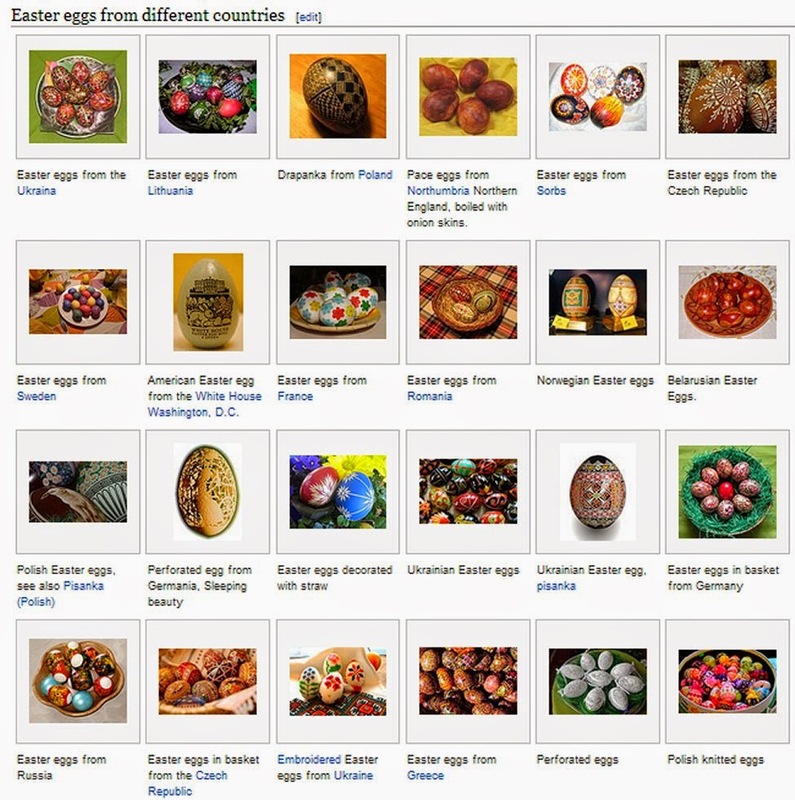 In many languages, the words for "Easter" and "Passover" are identical or very similar. 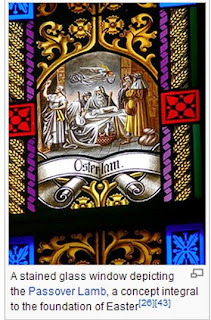 Easter customs vary across the Christian world, and include sunrise services, exclaiming the Paschal greeting, clipping the church and decorating Easter eggs, a symbol of the empty tomb. 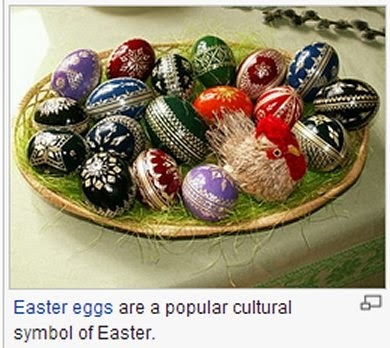 Additional customs that have become associated with Easter and are observed by both Christians and some non-Christians include egg hunting, the Easter Bunny, and Easter parades. 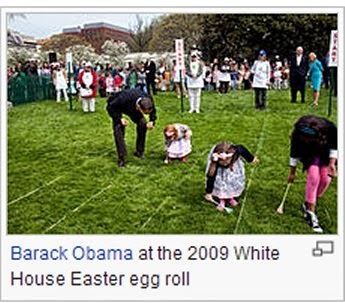 The Easter parade is an American cultural event consisting of a festive strolling procession on Easter Sunday. 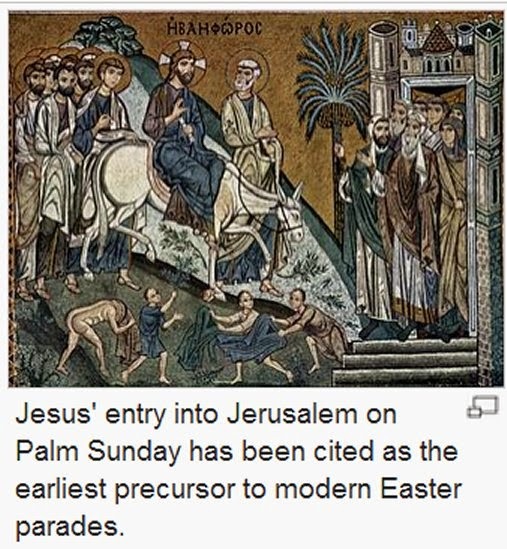 The parade is somewhat of an informal and unorganized event, with or without religious significance. Persons participating in an Easter parade traditionally dress in new and fashionable clothing, particularly ladies' hats, and strive to impress others with their finery. 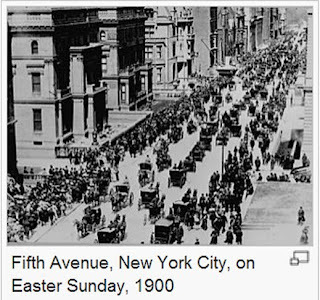 The Easter parade is most closely associated with Fifth Avenue in New York City, but Easter parades are held in many other cities. Starting as a spontaneous event in the 1870s, the New York parade became increasingly popular into the mid-20th century—in 1947, it was estimated to draw over a million people. Its popularity has declined significantly, drawing only 30,000 in 2008. Many Americans follow the tradition of coloring hard-boiled eggs and giving baskets of candy. The Easter Bunny is a popular legendary anthropomorphic Easter gift-giving character analogous to Santa Claus in American culture. 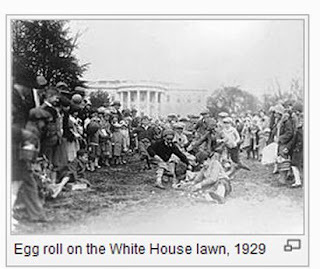 On Easter Monday, the President of the United States holds an annual Easter egg roll on the White House lawn for young children. 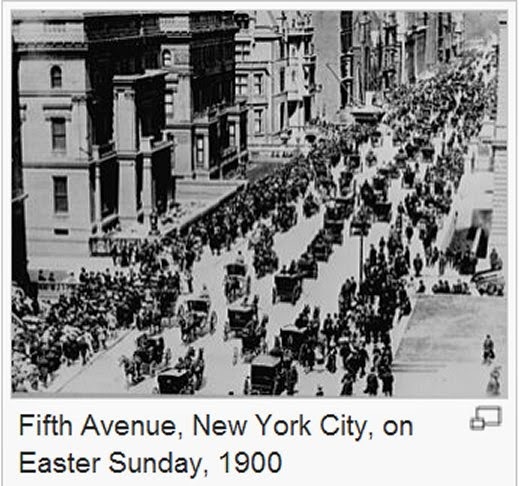 New York City holds an annual Easter parade on Easter Sunday. 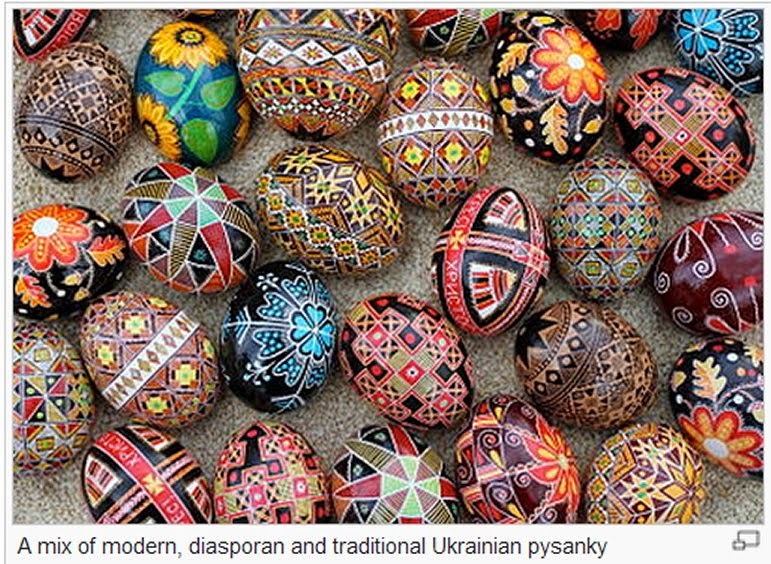 Easter eggs, also called Paschal eggs, are special eggs that are often given to celebrate Easter or springtime. 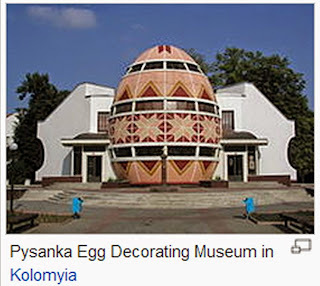 As such, Easter eggs are common during the season of Eastertide. 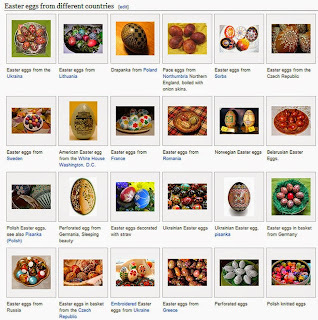 The oldest tradition is to use dyed and painted chicken eggs, but a modern custom is to substitute chocolate eggs, or plastic eggs filled with confectionery such as jelly beans. 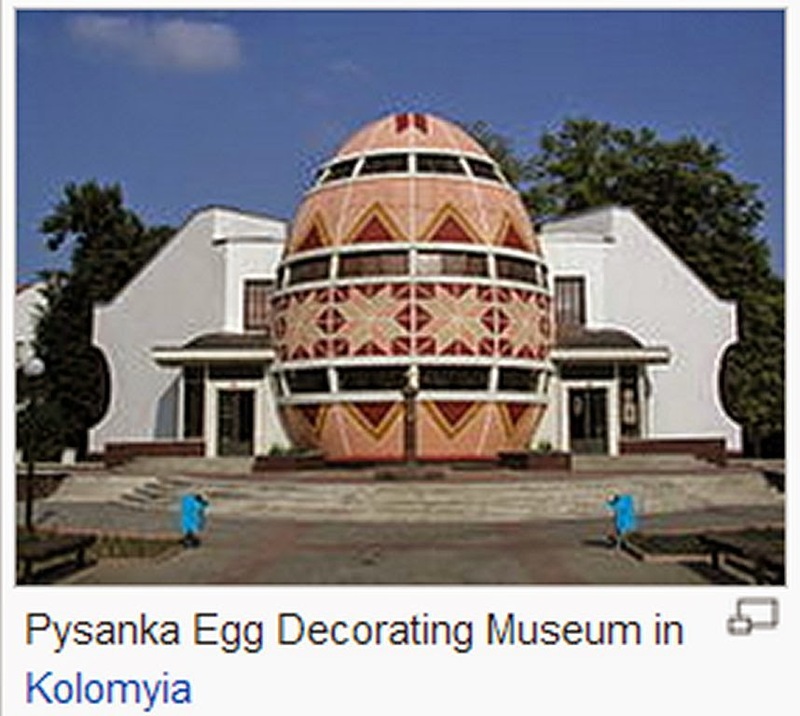 Eggs, in general, were a traditional symbol of fertility, and rebirth. In Christianity, for the celebration of Eastertide, Easter eggs symbolize the empty tomb of Jesus: though an egg appears to be like the stone of a tomb, a bird hatches from it with life; similarly, the Easter egg, for Christians, is a reminder that Jesus rose from the grave, and that those who believe will also experience eternal life. 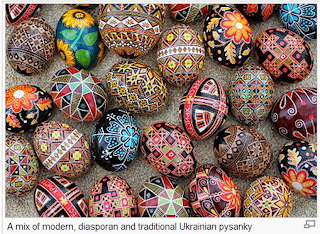 The precise origin of the ancient custom of decorating eggs is not known, although evidently the blooming of many flowers in spring coincides with the use of the fertility symbol of eggs—and eggs boiled with some flowers change their color, bringing the spring into the homes. 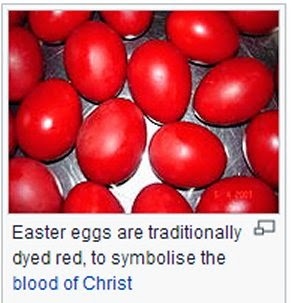 Many Christians of the Eastern Orthodox Church to this day typically dye their Easter eggs red, the color of blood, in recognition of the blood of the sacrificed Christ (and, of the renewal of life in springtime). Some also use the color green, in honor of the new foliage emerging after the long dead time of winter. 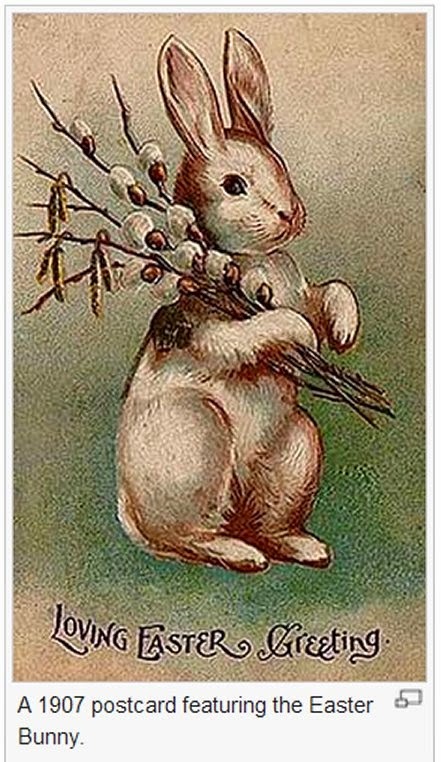 The Easter Bunny (also called the Easter Rabbit or Easter Hare) is a fantasy character depicted as a rabbit bringing Easter eggs. 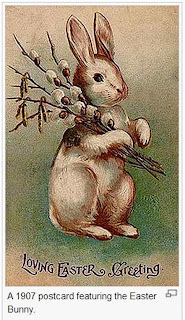 Originating among German Lutherans, the Easter Hare originally played the role of a judge, evaluating whether children were good or disobedient in behaviour at the start of the season of Eastertide. 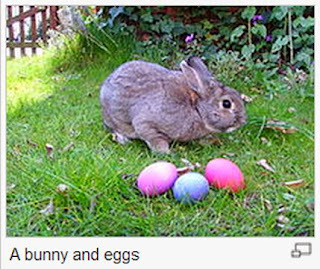 The Easter Bunny is sometimes depicted with clothes. In legend, the creature carries colored eggs in his basket, candy and sometimes also toys to the homes of children, and as such shows similarities to Santa Claus, as they both bring gifts to children on the night before their respective holiday. The custom was first mentioned in Georg Franck von Franckenau's De ovis paschalibus (About Easter Eggs) in 1682 referring to a German tradition of an Easter Hare bringing Easter Eggs for the children. In many church services on Easter Sunday, a live rabbit representing the Easter Bunny, is brought into the congregation, especially for the children's message. 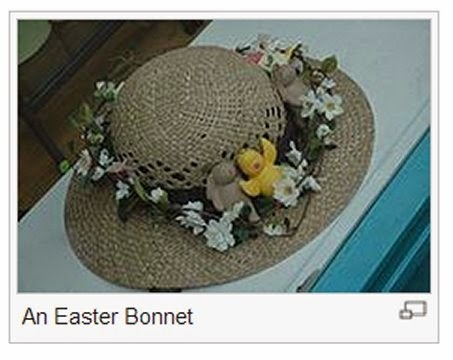 An Easter Bonnet represents the tail-end of a tradition of wearing new clothes at Easter, in harmony with the renewal of the year and the promise of spiritual renewal and redemption. You'll be the grandest lady in the Easter parade." At the depths of the Great Depression a new hat at Easter, or a refurbished old one, was a simple luxury. Will you be celebrating Easter? Showing off your Easter bonnet or attending an Easter Day Parade? Please visit this blog frequently and share this with your social media. Follow me @gbdaly Thanks. NYCapartmentsKD on FB; We've reached 15M+ Facebook Fans and over 35M visits thanks to you!